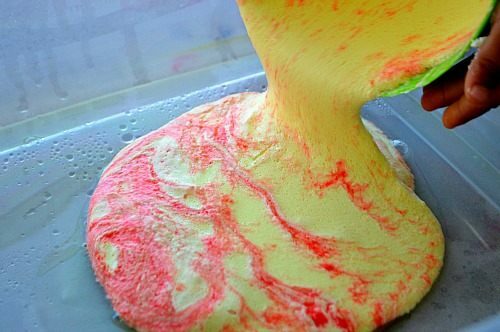 You all know how to make oobleck/goop. 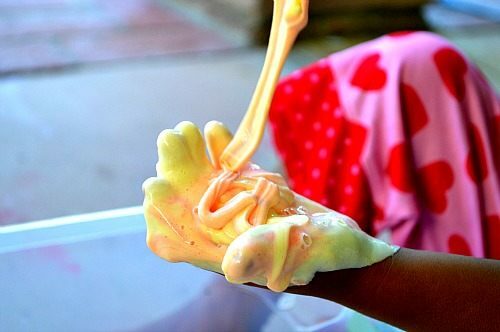 Just in case you are not aware of this wonderful play compound, goop is a non-Newtonian fluid which acts like a solid when pressure is applied ( holding and playing) and acts as a liquid when left alone. 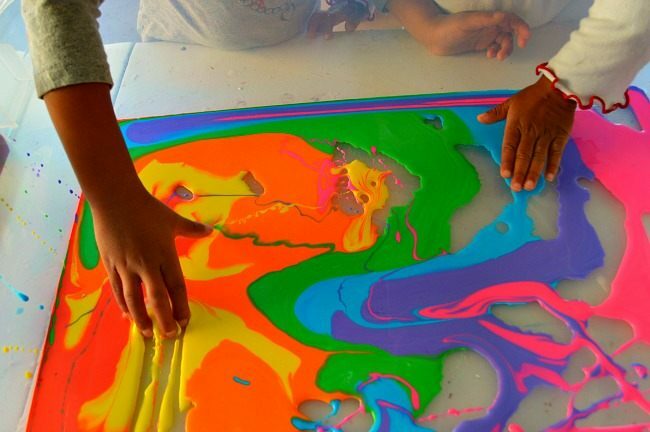 Check out our Rainbow Goop post to see how we made play time more fun. For more sensory activities visit our category page. 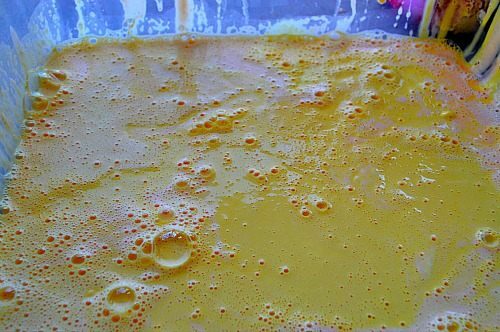 That particular day my 2.5 year old toddler was demanding bubbles and oobleck. So that’s what we did. 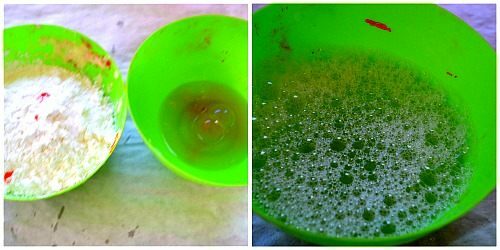 I added a few squirts of body wash and made sudsy water and added that to cornstarch. 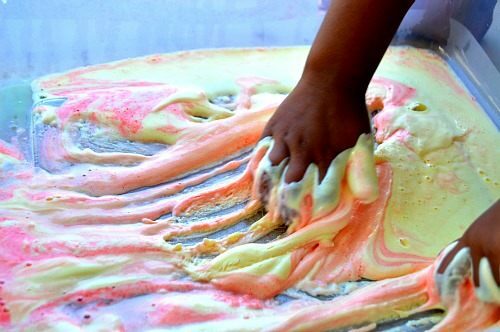 Mix until you get a batter like consistency. 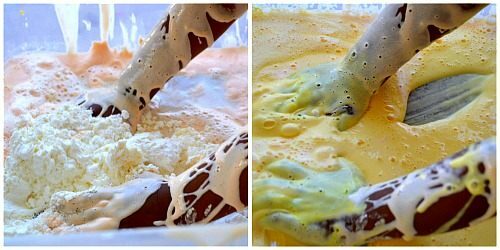 I added the soapy water and cornstarch and kept mixing them together until I got the right consistency. I even had my toddler do the mixing for extra fun. Adding sudsy water to cornstarch gave us a different consistency than regular goop. Since my toddler wanted more goop, I added more cornstarch and soapy water and let her have a go at it. 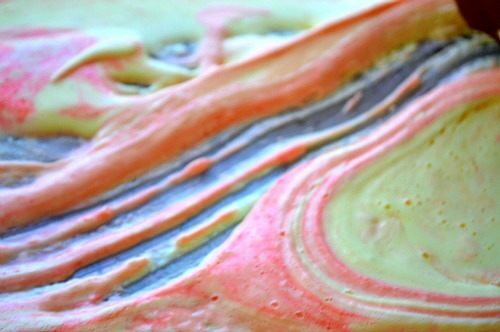 Our sudsy goop looked beautiful and smelt wonderful! She squished the soapy goop. She scratched and made marks. The best part was that the soapy goop in addition to being bubbly and squishy, behaved like regular goop. We stopped to pop the bubbles and were playing with it just like plain old goop. 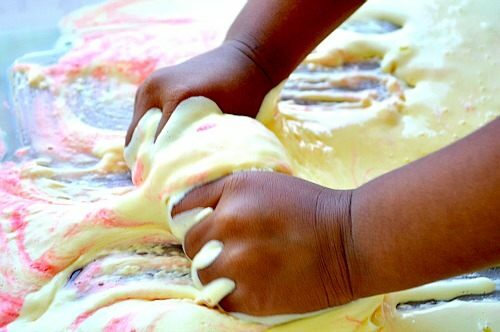 Sensory activities are great for children to both calm down and explore and learn. Add lavender fragrance to calm down and may be lemon or orange to make play time exciting and fun. TIP: Next time I’d add Lemon Kool -Aid and add a body wash with lemon essence. Generally match the Kool aid flavor with the matching body wash. To keep it tear free you can always add baby wash.
Feel free to pin this image. 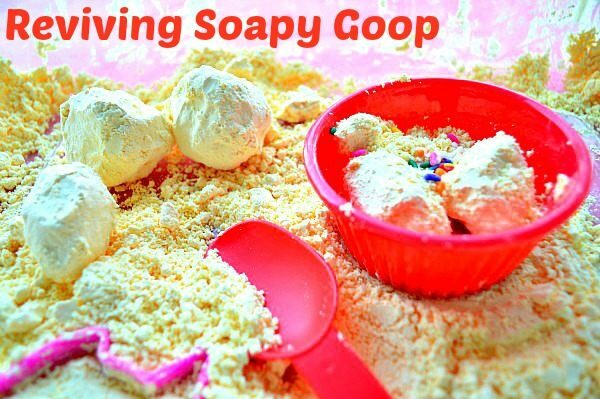 Hope you enjoyed reading how to make sudsy goop. But, that’s not all. Come back tomorrow and see our “life after goop” post. Your goop recipes are awesome!!! Love the intense colours! I can’t believe we haven’t made goop here. Putting your goop on my MUST DO list for next fall! what a totally awesome activity: half an hour after reading this my kids were making their very own batch! Thanks for the suggestion! Thanks Kelly Innes. 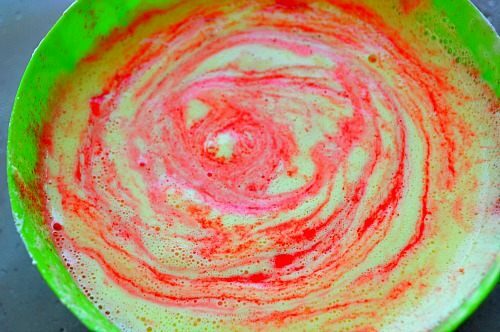 My toddler was in sensory heaven with this one.. I can’t say enough about the scent- Kool Aid+ baby wash!